Governing bodies’ minutes have to be proactively disclosed under the RTI Act, but NLUs hubristically think they are above the law. Recently, a piece on the Rajiv Gandhi National University of Law, Patiala (RGNUL) caught my eye. Its registrar – the First Appellate Authority under the Right to Information Act, 2005 (RTI Act) – inexplicably denied a request for RGNUL’s annual reports in electronic form. This brought back memories of my earlier experience at my alma mater, the National University of Juridical Sciences (NUJS), Kolkata. The administration’s strategy nearly succeeded until an RTI to the Supreme Court’s Registry,coupled with the tenacity of the student movement, ensured the disclosure of the University Review Commission’s Report, which thoroughly exposed the corrupt administration, thereby contributing to its swift downfall. At the time, top-level changes in the administration led the students to (falsely) believe that things will change for the better. Almost like the administrative rinse never took place, acting VC, Justice (Retd) Amit Talukdar sidestepped pleas for institutionalising the disclosure process. RTI applications continue to be evaded just as before. When inconvenient questions concerning meandering inquiries; inaction on Justice (Retd) P.N. Sinha’s inquiry report; inaction against the NUJS employees who perpetuated the illegal continuance of various distance education courses, et al. started coming up, the registrar, Shikha Sen, unsurprisingly had the West Bengal Advocate General, Kishore Dutta (AG) try browbeating students into abandoning their demand for access to general council, executive council (EC) and the finance committee minutes and accompanying agenda notes. Disconcertingly, the erroneous assertions of the AG were supported by the state Lokayukta, Justice (Retd) Ashim Kumar Roy; Judicial Secretary, Sandip Kumar Ray Chaudhuri; and the VC – all of whom were, and still are, variously members of the aforesaid governing bodies. The students responded by respectfully educating the said functionaries – in-person and via email – that ‘information is a right, not a charity’, but to no avail. Probably in a state where an appeal to the information commission is expected to take 43 years before disposal, the top law officials can brazenly insist on imposing information blackouts, despite being made aware of the implications of their obligation to proactively disclose minutes of governing bodies under both, Section 4(1) of the RTI Act and Paragraph 8 of the UGC Guidelines for Students’ Entitlement, 2013. The aforesaid scams, which came to light through SJA’s efforts, flourished despite the watchful eyes of the present AG, who has graced NUJS’ governing bodies in ex-officio capacity ever since his appointment. Presently, the AG – a member of 3 distinct inquiry committees – has not been able to ensure any meaningful progress. Coincidentally, the AG had unsuccessfully defended the former NUJS registrar, Surajit C. Mukhopadhyay, in a multi-crore financial embezzlement scam. Led by a former Chief Justice of India, late Justice Altamas Kabir, an extraordinary executive council meeting in June 2016 unanimously recommended the termination of Dr Mukhopadhyay’s services. The high court of Calcutta concurred. The RTI Act – the legislative amplification of our fundamental right to know – reorganised relations between the governors and the governed. It made proactive disclosure a rule and limited secrecy to an exception. Unfortunately, the colonial hangover that perpetuated a culture of secrecy and obfuscation hangs heavy on several national law universities (NLUs) even today. It was the piece concerning RGNUL mentioned earlier that led me to file an RTI application. Unsurprisingly, RGNUL’s state public information officer (SPIO) furnished a highly unsatisfactory and evasive response wherein, among other things, he erroneously sought refuge of exceptions (under Section 8 of the RTI Act); provided incomplete answers; and demanded approximately Rs 9,000 for the minutes and agendas of the last five EC meetings. Aggrieved, I have now preferred an appeal before the registrar, RGNUL. Governing bodies’ minutes have to be proactively disclosed under the RTI Act. NLU governing bodies hubristically think they are above the law. They forget the RTI Act resets the opaque terms of disclosure, by not only exhorting proactive disclosure, but also underlining that access to information cannot be denied if public interest outweighs the harm to protected interest. Another tactic practiced ad nauseam by NLUs is to deny information on the spurious plea that the information sought is too voluminous and not available in digitised form. Directions by the government stress on the mandate for proactive computerisation of records for regular publishing on the public authority’s website. There is also a long line of orders by the Central Information Commission reprimanding public authorities for non-compliance with the said mandate. An RTI applicant is also entitled to accessing the information sought in the preferred form, when it so exists. Student demands for greater transparency have unsettled NLU administrations who, even when offered an opportunity to reform, would much rather prevaricate, obfuscate and intimidate students to preserve the status quo. In the last few years, the SJA, despite facing successive transparency-allergic VCs – Bhat and Justice Talukdar – has persevered to push for greater accountability in the university administration. In remembrance of the energy-sapping but inspirational journey I had the honour of making with my peers in NUJS and the wider NLU student fraternity, I have filed a fresh batch of RTIs to NUJS. I hope my alma mater will lead the charge to embrace change. 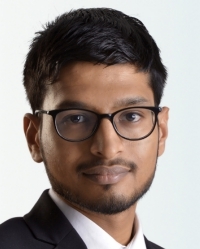 Arjun Agarwal was elected President of NUJS’ Student Juridical Association for 2016-18, and presently works as an Associate at Trilegal, Delhi. All views expressed are personal.